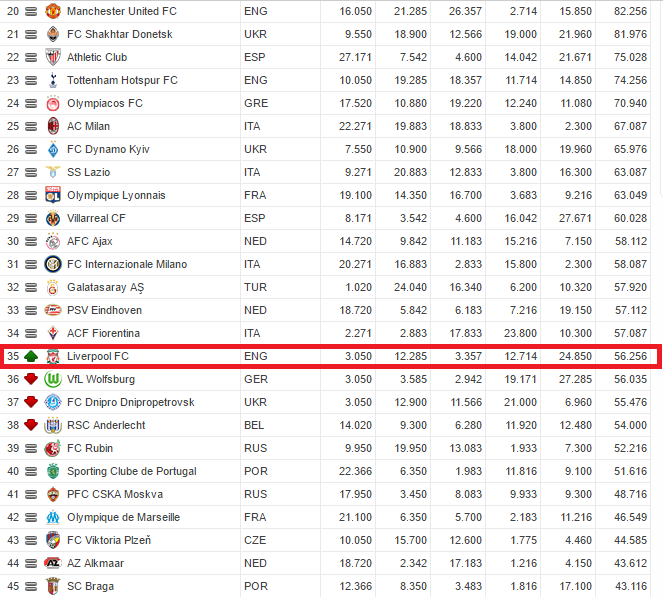 Brace yourselves… According to UEFA’s official club ranking list, we are now 35th best team in Europe. That’s three places higher than we were before Wednesday’s final, but it’s still a terrible position in the scheme of things. 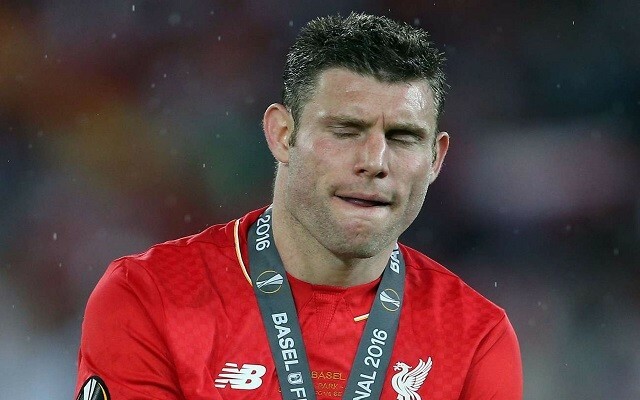 We’ve leapfrogged three, um, giants in the shape of Wolfsburg, Anderlecht, and Dnipro. We amassed 24.850 points this season’s Europa League campaign. The score takes into account the last five season’s performances – last season we got 12.714, in 2012 and 2014 we got a little over 3, and in 2013 we also got 12. We are now just behind Inter, PSV, Galatasaray, and Fiorentina – but with no European football next season we are certain to drop down again. We are the sixth best team in England, behind Chelsea, Arsenal, Man City, Man Utd, and Spurs. It’s a sorry fall from a decade ago – between 2005 and 2008 we were the number one seeds in Europa, mainly thanks to our two Champions League final appearances and our 2001 UEFA Cup final win.